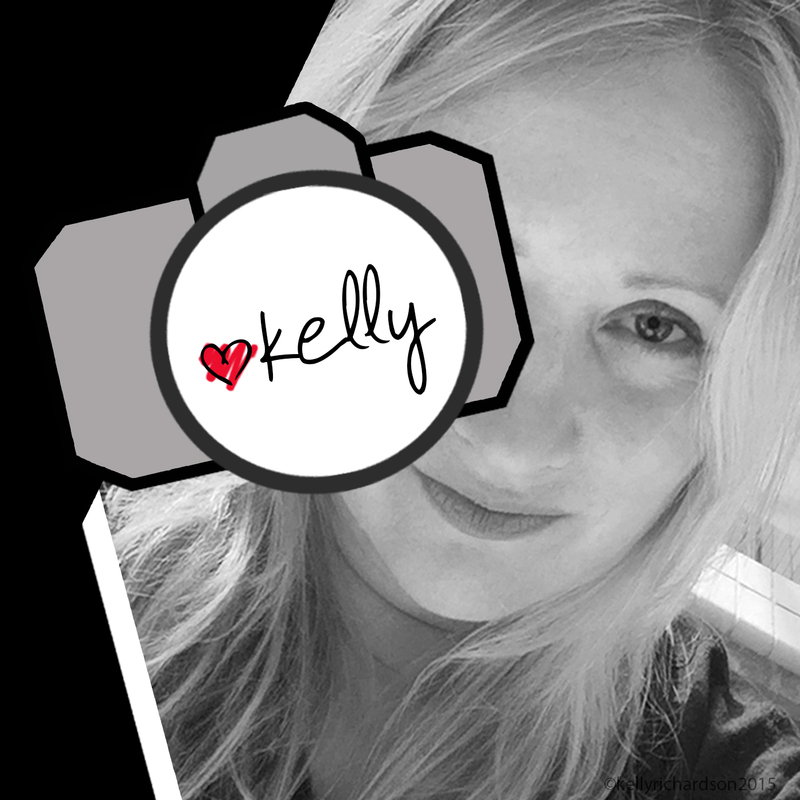 First up, we’re pleased to introduce Kelly Richardson, the photographer and artist behind LuvKelly. Kelly volunteers for non-profit, no-kill rescue groups to help save abandoned, surrendered and homeless animals. Welcome, Kelly! Kelly, tell us a little bit about yourself. What got you interested in photography and card-making? My interest in photography has deep roots that go back in time. My grandfather was a family portrait photographer, back in the 50s and 60s when there was just black and white film. My grandmother worked side by side with him. She painted in the skin tones and finishing touches on the photos with beautiful colors in oil paints. I have a painted portrait of myself as a child that my grandparents created—I wish I could remember that day to be able to see him photograph me and my grandmother painting the photo. I admire their work greatly. Though my grandfather went on to pursue a career as an engineer, he always kept a camera nearby and encouraged me to do the same. He taught me a lot about old-school photography and how to capture light. I am proud to carry on the legacy. It was summertime, which is a great opportunity to volunteer time in our community. Being huge animal lovers, my kids and I chose to help animals in need. The children were too young to volunteer at the larger rescue organizations, so we considered the idea of fostering rescue animals in our home, specifically kittens—an animal my daughter has adored since she was a baby. One phone call was all it took to get us hooked. When we heard, "a litter of two kittens, four-weeks-old, in the county shelter, with 24 hours to be picked up or they would be euthanized, are we interested?" There was no going back. I didn't realize that most baby kittens taken to county shelters don't get a chance at life; it hit me like a ton of bricks. It was like an awakening—I suddenly had a cause with a mission to educate communities about responsible pet ownership and raise awareness to save abandoned, surrendered and “death row” cats and kittens and all other animals in need of rescue. Card-making has helped me promote my cause all over the world, and I created LuvKelly Greetings. The kitten images used for the greeting cards are actual rescued foster kittens that were saved from death row and given a chance at life. Most of the kittens my family and I fostered ourselves. LuvKelly is symbolic for the hearts of the rescue animals that are saved, loved, cared for, vetted and re-homed by rescue groups and volunteers who care. LuvKelly rescue pet images bring sentiments of peace, care and love. Do you have an online portfolio or blog where we can view your work? Yes! Please take a look at my website. I have a weekly blog with posts of my newest images, photography and Photoshop tutorials, and other fun trivia and facts about animals. There is a page dedicated to LuvKelly Kittens with details on how people in the community can help sponsor and support their local rescue organizations. There is a place to subscribe if you would like to be notified of latest blog posts and images with bi-monthly emails. Do you have a favorite photographer or artist? If yes, what draws you to that person's work? My favorite photographer is Anne Geddes. I was especially drawn to her photography when I had my first child in 1999. I decorated my baby nursery with her framed prints. I admire her style of photography showing babies and infants dressed up like teddy bears, flowers, in flower pots, on lily pads and more. Her images are very creative, so beautiful and pleasing to the eye. Where do you gather most of the inspiration for your work? This year I am promoting and blogging about “2015 LuvKelly Kittens Recycle – a monthly Photo Shoot Tutorial Series.” Each month I am hosting a photo shoot with rescue kittens and recycled materials that can be found around the house. We are going green in an effort to raise community awareness for the environment and cats/kittens in need of rescue. These monthly photo shoots are inspired by the time of year, and recycled items that we find around the house to use. For example, in January our recycled theme was Burlap and Boxes, February was For the Love of Lace, March was (Easter) Baskets and Bird Nests, April was Don't Put those Winter Clothes Away Yet (snow hats), May was Pocket full of Love (Jeans), June was June Weddings and July was Summertime at the Seashore. We are having a lot of fun with it. Otherwise, I gather a lot of inspiration for my photo shoots by going shopping. I look at art on greeting cards that are in the marketplace. I also go to home décor stores and look for interesting props that can be used in my images with the rescues. What, in your opinion, is the hardest step in creating your cards? The hardest step in creating my cards is writing text for the image. Sometimes I like to leave them blank and allow the photo to express the sentiment. Thank you for sharing your story and inspiration, Kelly! For more of Kelly’s work, please visit her artist store on CardGnome.com.